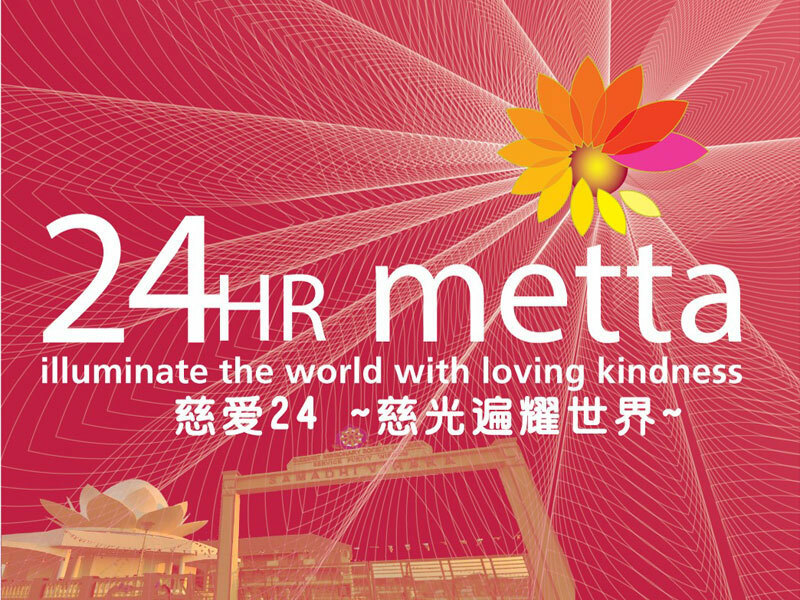 For the eighth (8) successive year, 24hr Metta – the non-stop round-the-clock chanting of Karaniya Metta Sutta and other mantras for world peace, harmony and stability – will be held on Saturday 29 to Sunday 30 Dec. 2018. 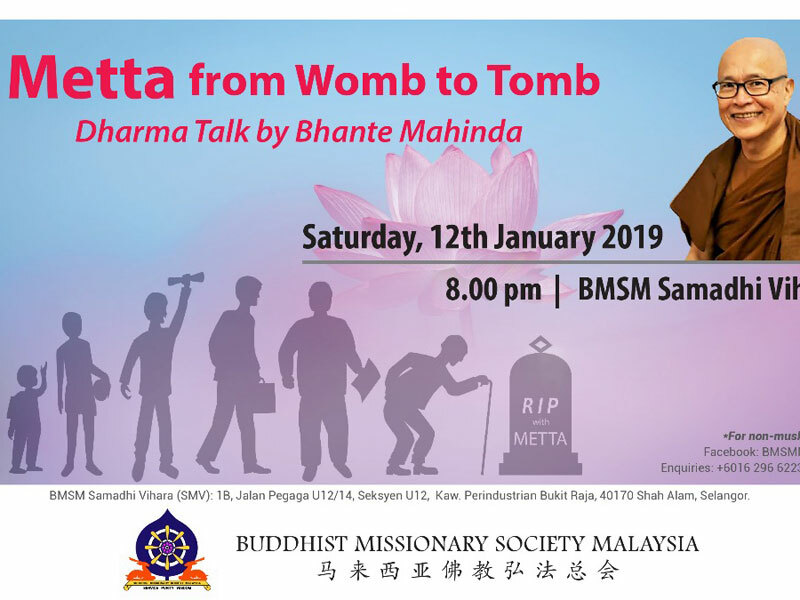 Aloka Foundation and the Buddhist Missionary Society Malaysia (BMSM) are again co-organizing this annual Metta event which will be held at Samadhi Vihara – 1B, Jalan Pegaga U12/14, Section U12, Kawasan Perindustrian Bukit Raja, 40170 Shah Alam, Selangor. 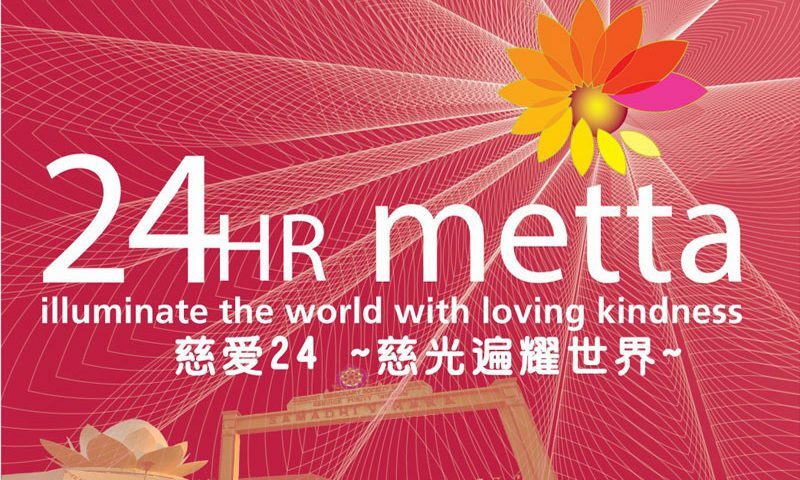 As in previous years’ 24hr Metta event, Buddhist organizations and groups in Klang Valley will be taking turns to chant in one-hour slots. 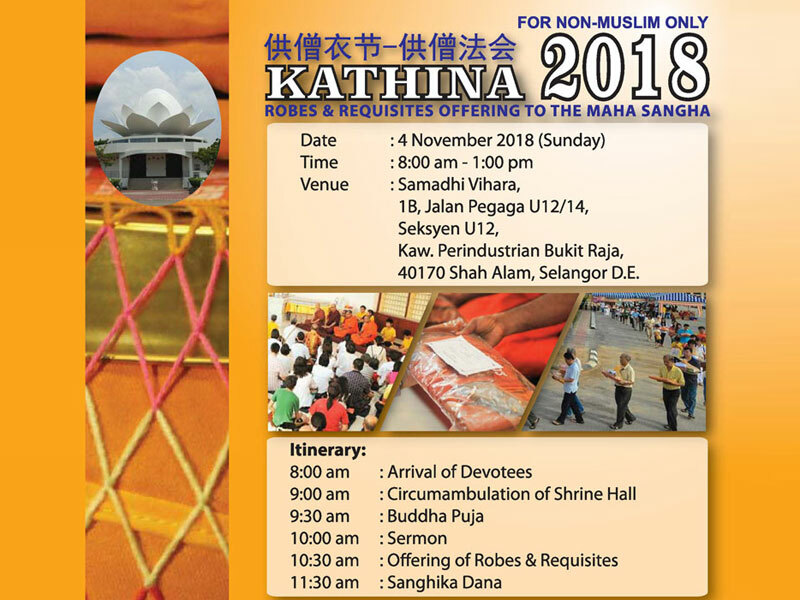 Other Buddhist organisations and groups outside Klang Valley will be joining in off-site via Internet link-up, making an event that crosses borders. 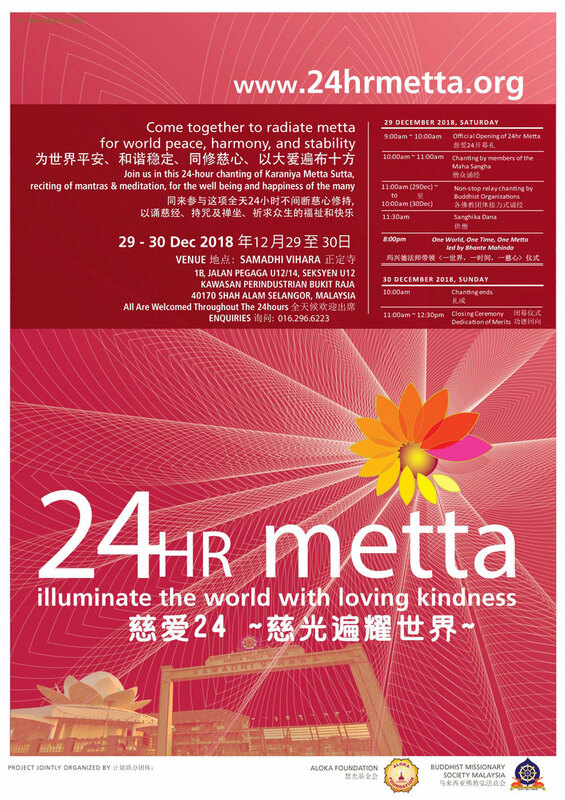 The event, which is part of Aloka Foundation’s Metta Round the World initiative, will commence at 9 am on Saturday 29 December 2018 with the Official Opening by Venerable Mahinda Maha Thera, Chairman and Spiritual Director of Aloka Foundation as well as General Advisor of BMSM. The 24-hr non-stop chanting will commence with the first hour chanting (10.00 am to 11.00 am) by members of the Maha Sangha and will end at 10 am on Sunday, 30 December 2018. 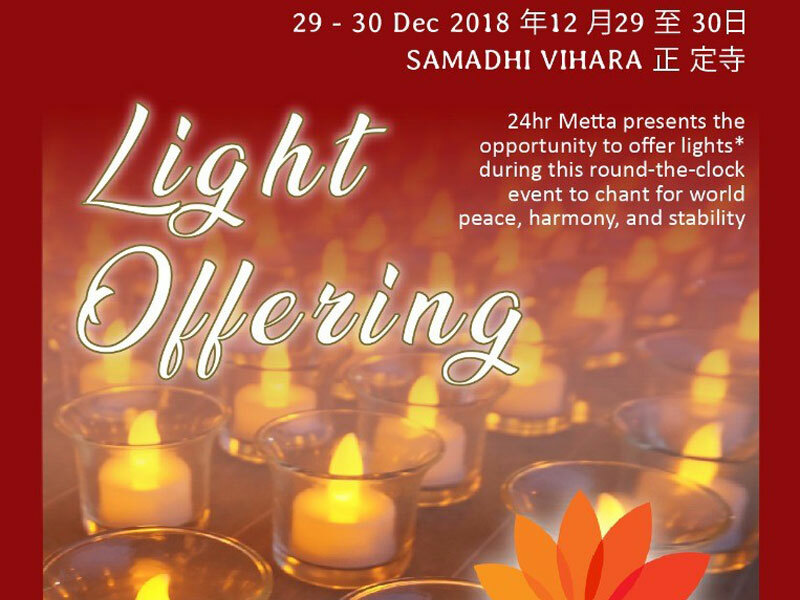 An Illumination Ceremony is being planned for 8 pm on Dec 29, symbolic of lighting up the world with metta with the circumambulation of the Vihara led by Ven. Mahinda with participants in tow bearing candle lights. Immediately after the circumambulation, all present will sit in meditation to radiate Metta for world peace, harmony, and stability. We seek your kind support for this event by being a sponsor in cash or kind for the items listed in the attached sponsorship form. Please do not hesitate to contact Bro. Jeffrey Eu @ 012 334 5533 or Sis Liew Cheong Chee @ h/p 016 2850 970 should you need further clarification.